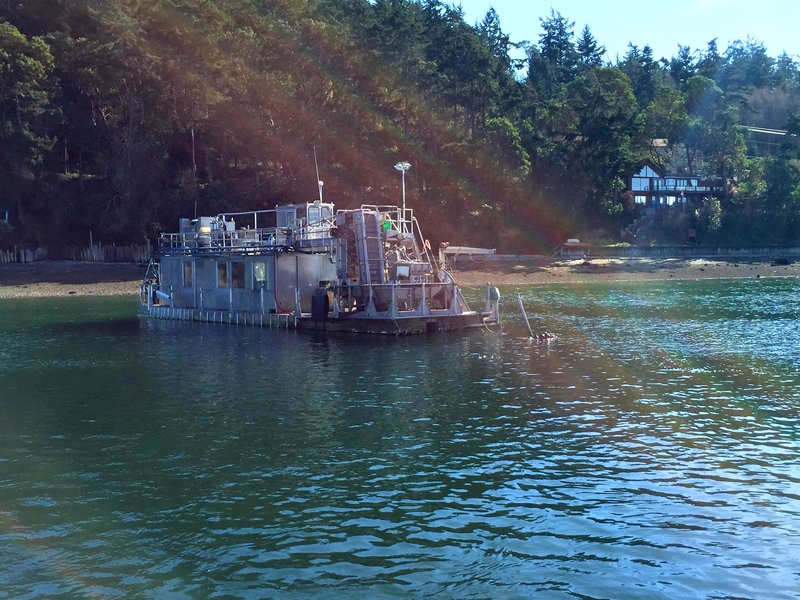 Once a year a part of Whidbey Island goes happily nuts — for mussels! Not the kind you flex – the kind you eat! 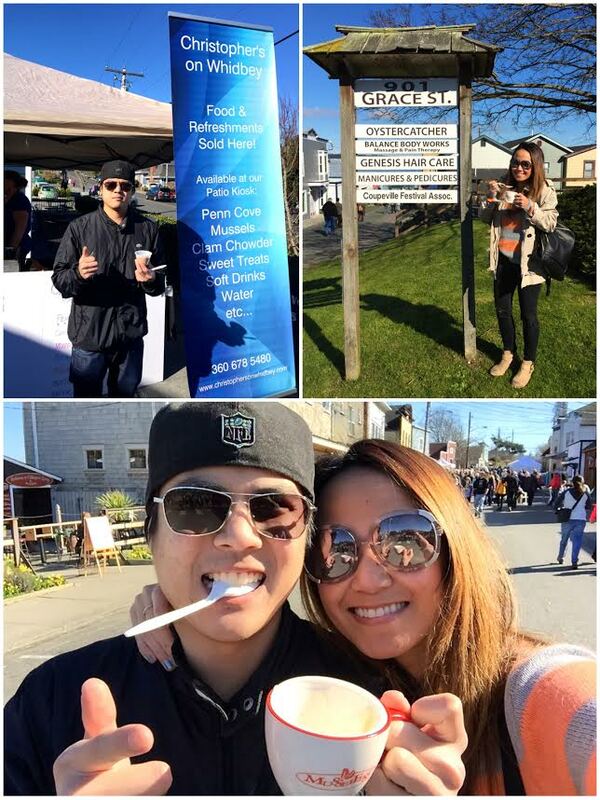 Now in its 29th year, the Penn Cove Musselfest was the place to be if you love seafood as much as I do! 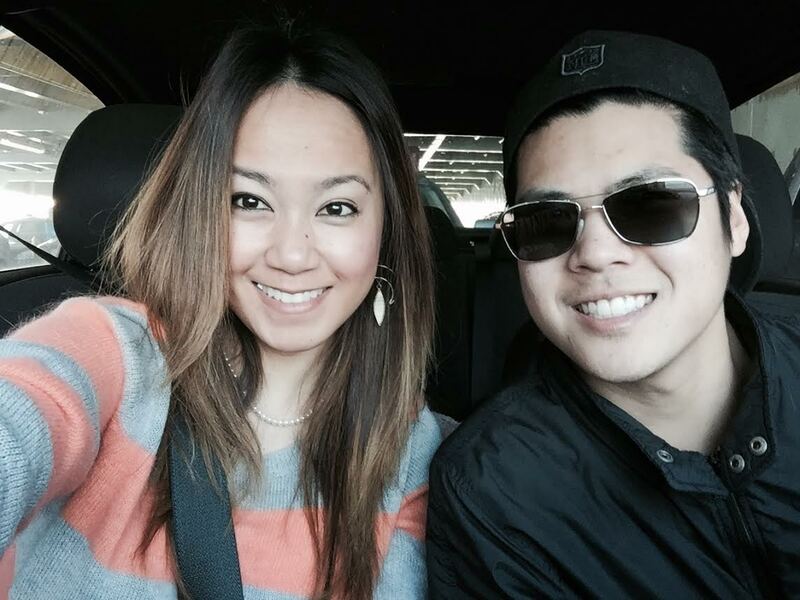 We caught the Mukilteo ferry and it was an about a 30 min. boat ride to Whidbey Island. 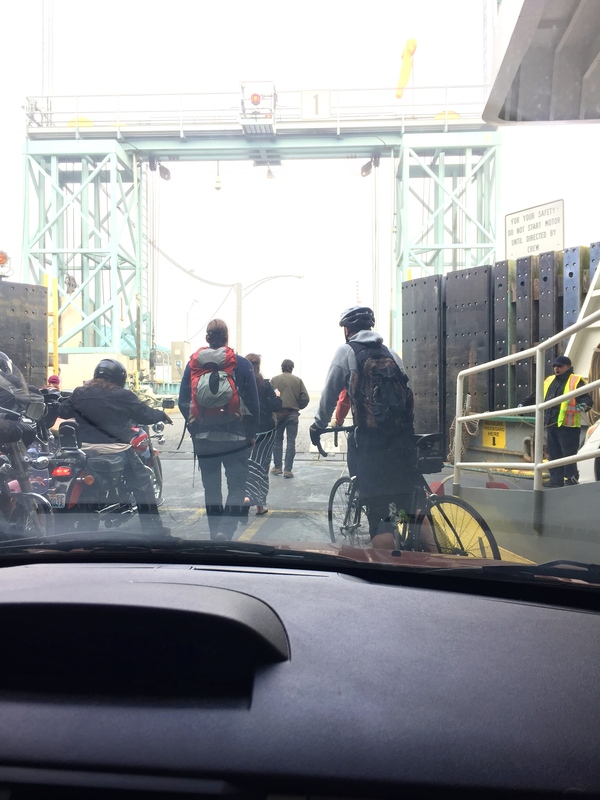 It was nice to be one of the first cars in/out of the ferry! 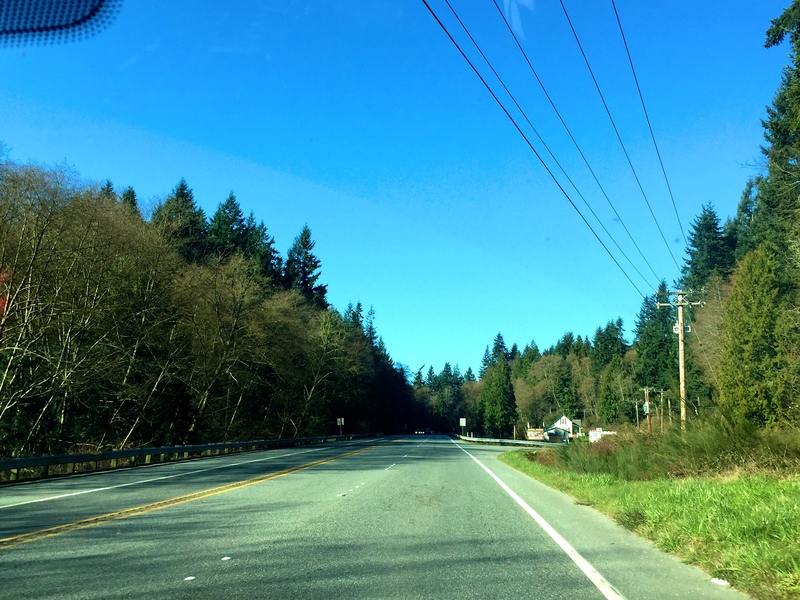 Once we got there, we drove another 30 min. 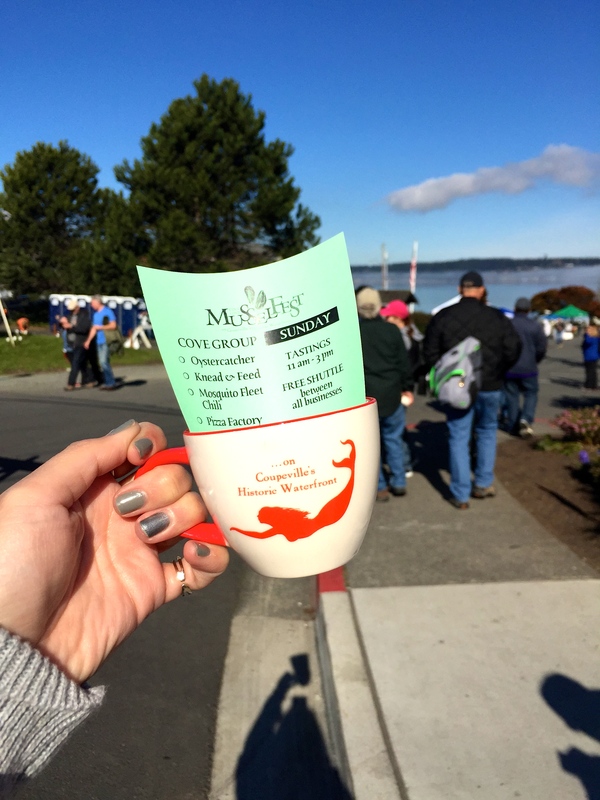 to the Musselfest Headquarters at downtown Coupeville. 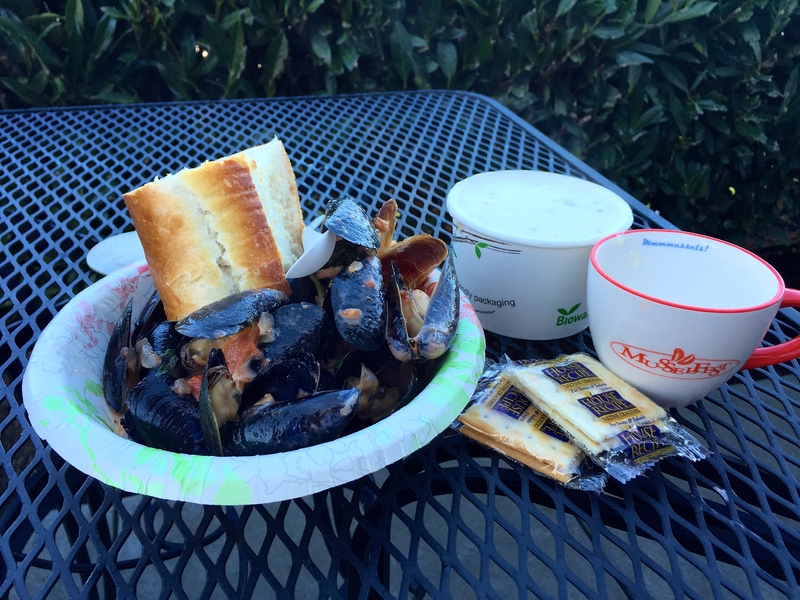 For $10, you get a cup and get 5 chowder tastings at participating restaurants nearby. 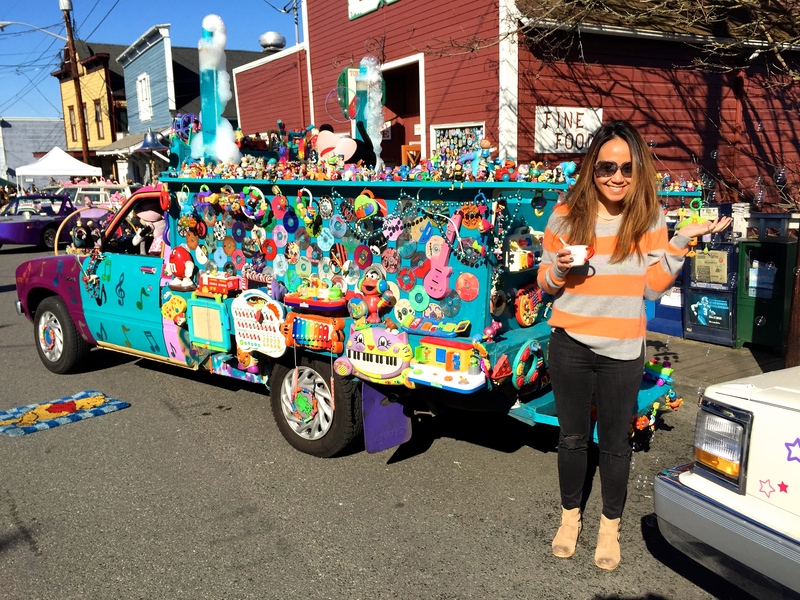 A couple of unique and quirky cars that we came across! 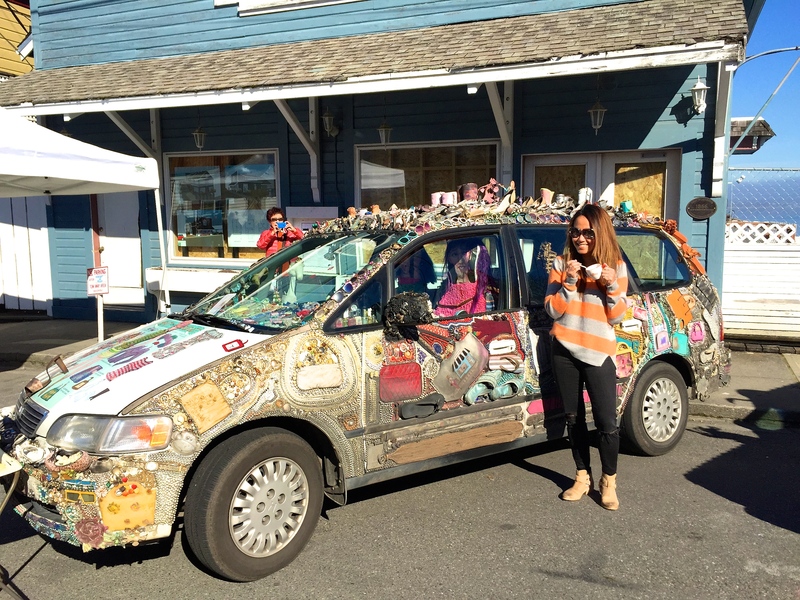 ^^A car for the ladies…decorated with handbags, glasses, and shoes. ^^A “toy” car that was making bubbles! It was fun, but creepy in a way! 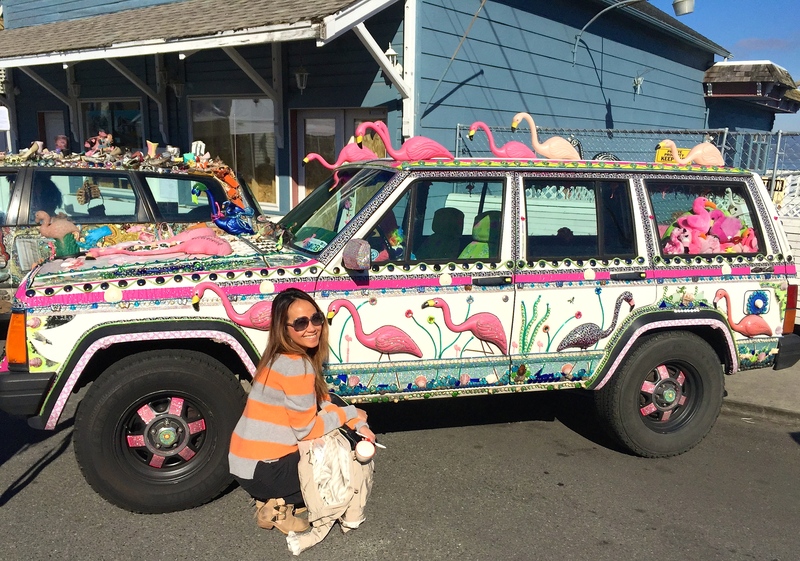 ^^Who would have thought…a flamingo car?!? 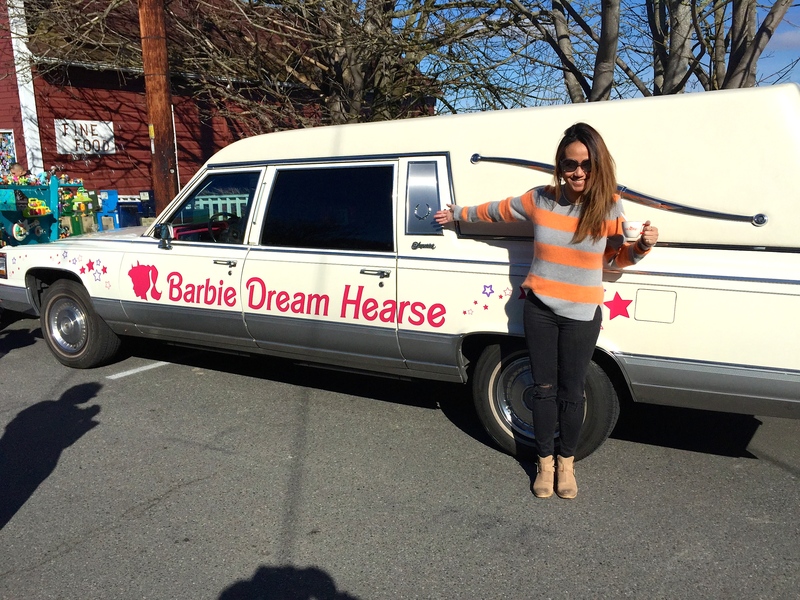 ^^Will this be Barbie’s last ride? 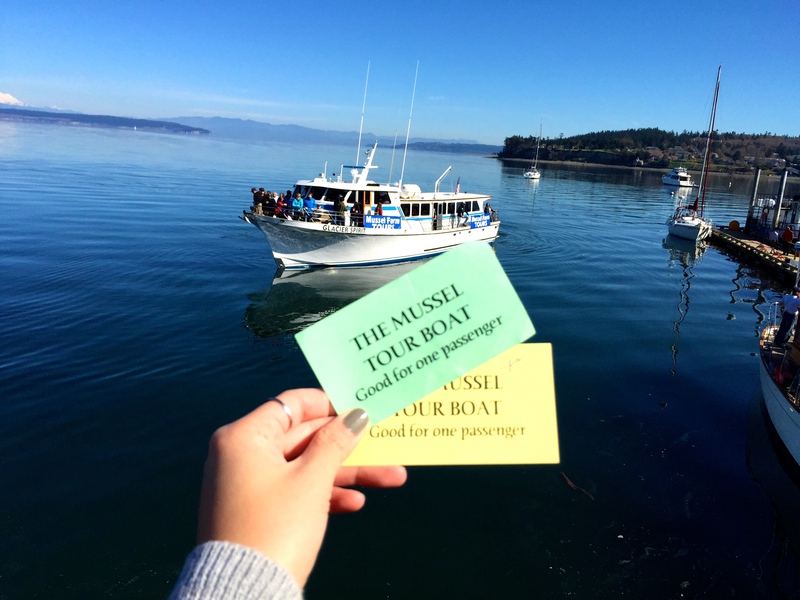 For another $10, we went on a cruise to the Penn Cove Shellfish mussel farm aboard the Glacier Spirit. 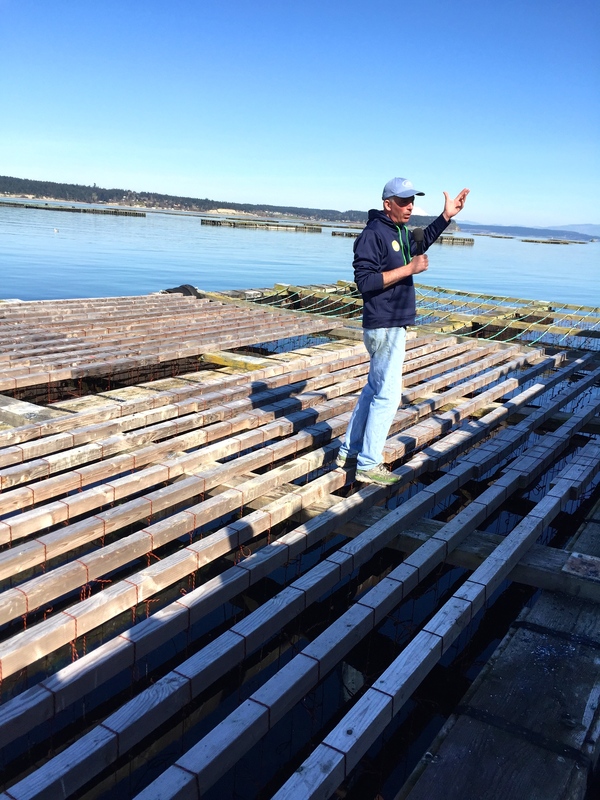 Our tour guide was Penn Cove Shellfish farm manager, Tim Jones. 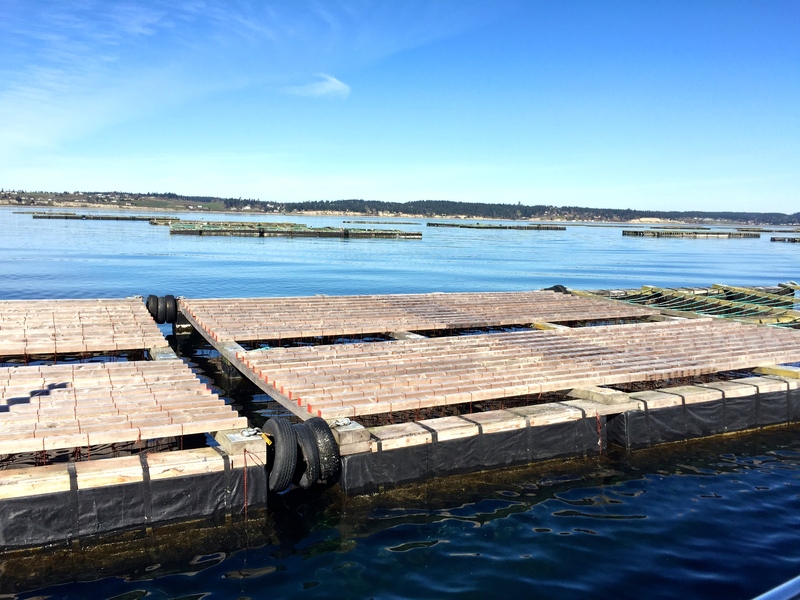 The mussel farm is a group of 42 rafts anchored at the western end of Penn Cove. 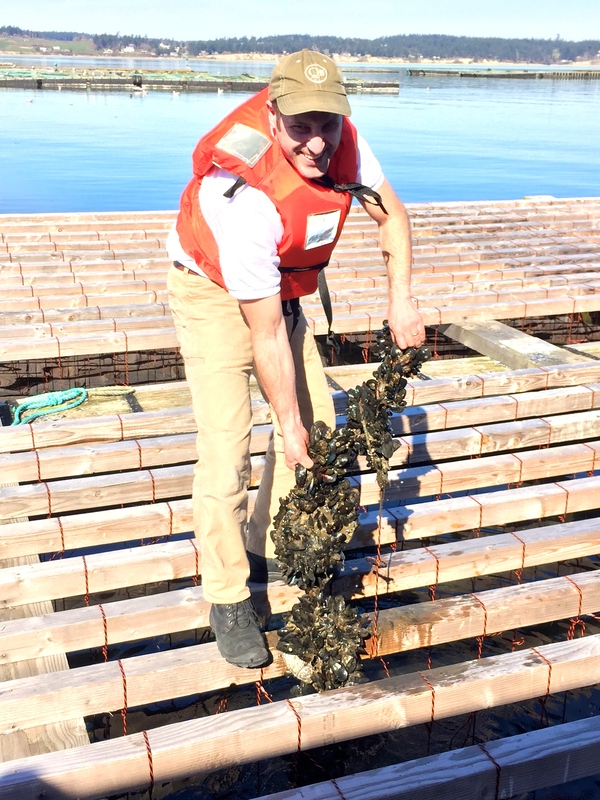 Each raft hangs 1728 lines where the mussels attach themselves and grow. The Moule Mariner is a specially designed boat used for harvesting the mussels. 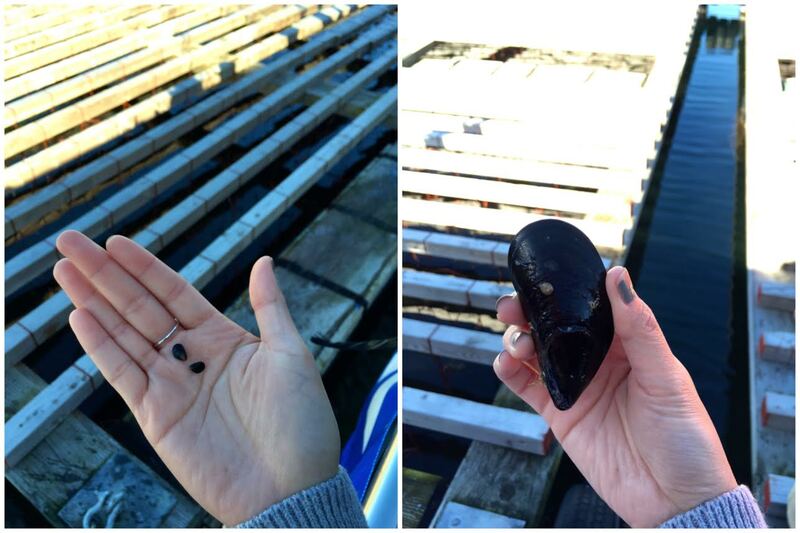 A 4 month old mussel and a 1 year old mussel! 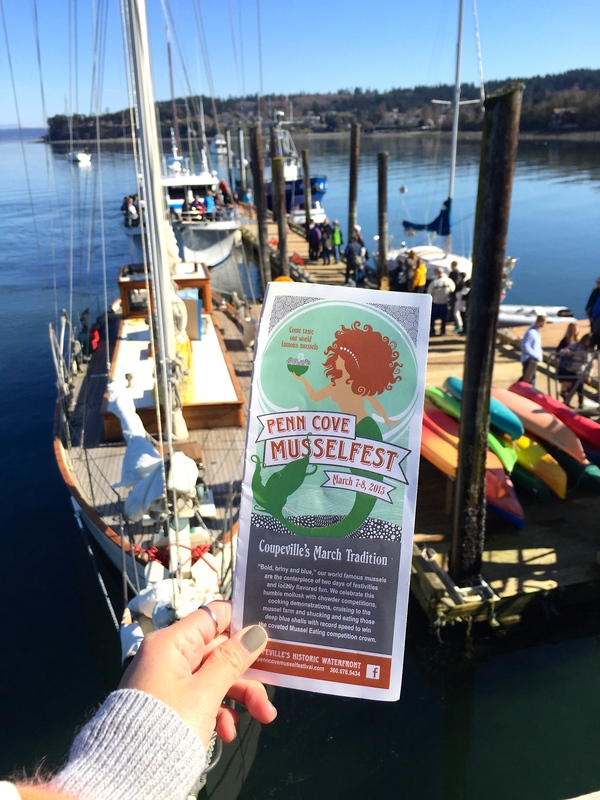 Penn Cove Shellfish provides over 2.5 million pounds of mussels a year! Wow! 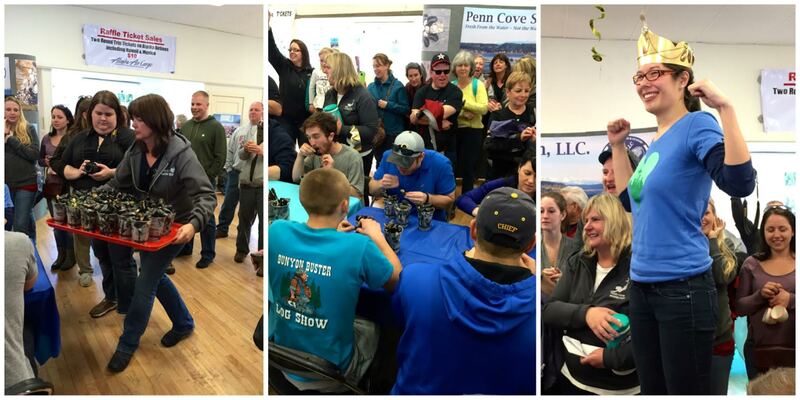 Before heading back to Seattle, we were able to catch the mussel eating competition! For a $5.00 entrance fee, you must scarf down three 16oz cups of mussels and whoever is the fastest wins the golden mussel crown. The winner was a female who happens to be last year’s winner, she was a beast!